An inclinometer to measure the angular height of an object and the angle above the horizon. And a GPS unit (on site) to find and mark the shooting location AND to determine where true north is. I’ll address them briefly here and then talk in greater detail about each in subsequent posts. Google maps is very useful for identifying possible shooting locations, topography, roads and trails. An ephemeris (meaning a schedule of events) is very handy for determining the best dates and times for night photography. You will need to know the phase of the moon, the moonrise and moonset times and sunrise and sunset times. There are many sources for this data but it is important that your data be for the location where you plan to shoot. I did not actually use one for this shot, but an inclinometer used on site is very handy. An inclinometer measures the angular height of something relative to the horizon. Polaris sits above the horizon at an angle equal to the latitude of the observer. In Hawaii, the southernmost state, Polaris is about 19 degrees above the north horizon. But the Bristlecone pines in the White Mountains of California are farther north. 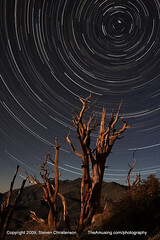 At the latitude of the Bristlecone pines Polaris is 38 degrees above the horizon. To make your shot set up much simpler you will need a way to determine where true north is (not magnetic north!). 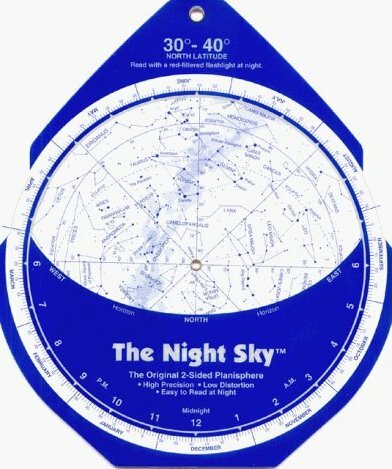 Although a student of the sky will be able to find the North Star at night, it is best to make sure you have north nailed before it gets dark. I find the best tool for this is a handheld GPS unit. I use the GPSMAP® 60CSx – newer devices are available. In truth you can pare down this list to three tools. Your camera can be used to measure angles if you know the trick. More on each of these tools in subsequent articles. 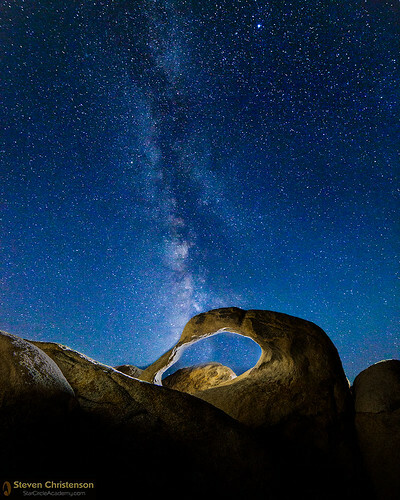 If you would like some hands on experience learning and using these tools, please join us for our November 5-7th Star Circle Academy Workshop in Alabama Hills, California. This entry was posted in Photo Tip, Tools and tagged compass, computer, ephemeris, Google Maps, GPS, inclinometer, iPhone, shot planning, starcircle, tools on August 31, 2010 by Steven Christenson.